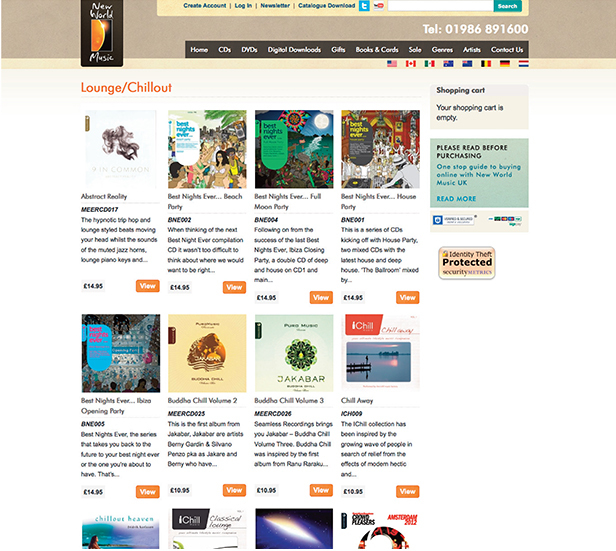 New World Music are based in Bungay near Norwich, they distribute the world’s finest new age and relaxation music to over 85 countries around the world. The E.commerce website we designed and built for the client needed to offer customers both traditional physical C.D products and digital downloads, an ever important web based business. The new website also provides insights to the artists behind the music with an artists section including a discography of each artist and it also offers an online Jukebox for customers to listen to the latest music. 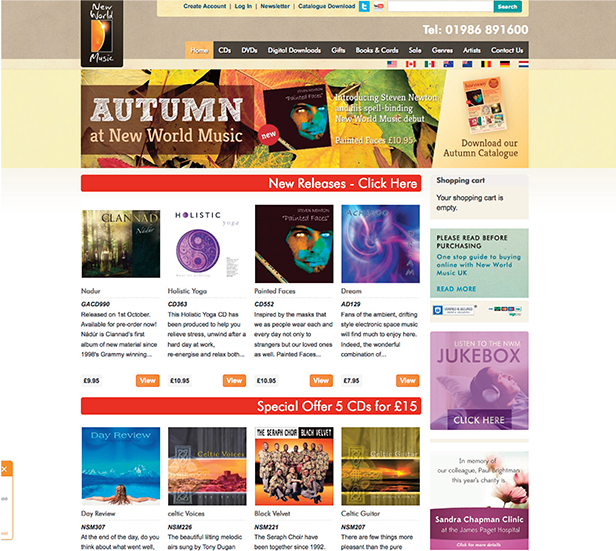 Not only does New World Music offer C.Ds and digital downloads they also have a range of DVDs, gifts and books that you can purchase online. 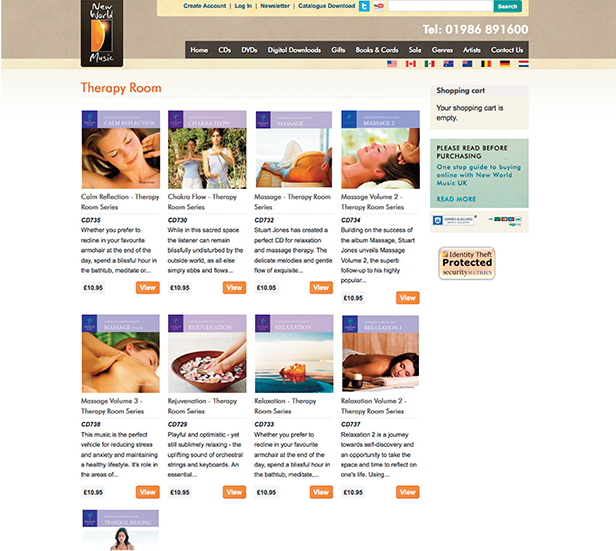 As New World have an extensive catalogue the new website design needed to include an easy navigation menu so all products are listed in one place, this was achieved by presenting these products in a mega-menu. The new E.Commerce website allows the client to be able to add special offers and promotions to any products for any length of time without having any technical knowledge, all this is done via the content management system of the website. The client can also keep track off all orders placed, print invoices and generate reports all from the E.Commerce CMS system. The E.commerce system that we built in Drupal is very versatile, payments can be made via Sagepay and Paypal and additional modules can be added at anytime such as a newsfeed and a blog.